SK Telecom T1 was on a slippery slope after the 2017 Worlds. But in a matter of weeks, the South Korean League of Legends squad has improved from 1-5 to 4-5, working its way back up the standings thanks to the help of a talented-as-hell rookie jungler. The slump of SKT at the start of this season was for a variety of reasons, but chief among them was the jungle position. While the other four roles of League of Legends are designated to the three lanes on the map — top, middle, and bottom (where marksman and support pair up) — the jungle is the odd spot out. A good jungle player sets the tone and pace for the game, finding weak lane match-ups to capitalise on and pressuring for early advantage. Kang "Blank" Sun-gu was not that jungler for SKT. He struggled early in matches, and in one series against the Afreeca Freecs, put up an incredibly embarrassing 612 total damage. SK Telecom T1 is a legacy in League of Legends, having multiple world championships to its name, so results like the early spring's were tough to cope with. The next week, SKT subbed in Park "Blossom" Beom-chan at the jungle position. A rookie without many results to his name, Blossom showed up. In his first professional match, he was named MVP of the series in a 2-1 win over the BBQ Olivers. In the weeks since, Blossom has shone across multiple games and champions. 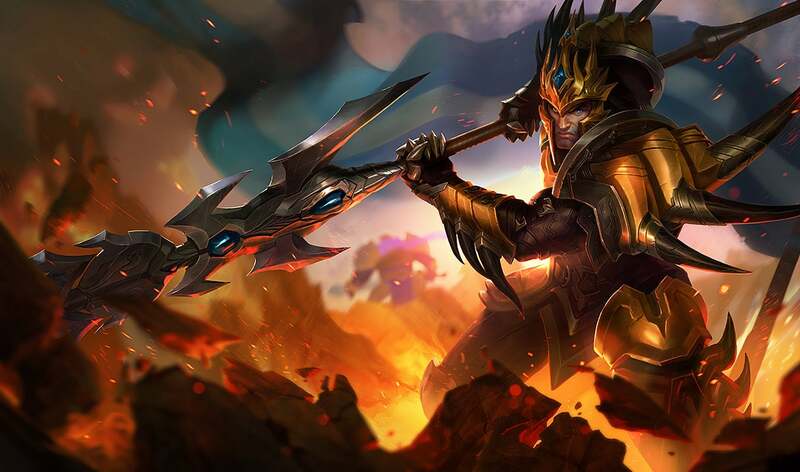 Though his Jarvan IV is of special note, last night he was gelling extremely well with his SKT teammates on the gooey Zac against the ROX Tigers. It's clear in the last few games that SKT feels confident once more. The team is working together, looking focused, and lanes that previously struggled are thriving under the care of Blossom. He's not the passive jungler that Blank was, lacking in damage-dealing and seeming lost in the woods. Blossom might sometimes get over-aggressive, but even in failure, he seems assured of himself and his approach. In an InvenGlobal interview, SKT T1 support Lee "Wolf" Jae-wan spoke to Blossom's jungle approach. "He just debuted, and because of that, he is like a blank piece of paper," said Wolf. "His aggressive and active play-making does indeed help the team. Players start feeling more pressure as he becomes a veteran of the scene. On the other hand, the passion and daring personality that most rookies possess can be used as a weapon." He's a bit reckless at times, but it's clear Blossom has become a new weapon for SKT. With half a split still to go, there's a lot of damage Blossom can still do.